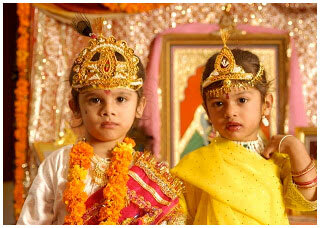 Janmashtami commemorates the birth of Lord Krishna. It is on this auspicious occasion when devotees observe fast and offer puja to the Lord. Many observe fast sternly without even pouring a single drop of water while other observes fast with various considerations. Learn more about the kinds of fasts observed and about the food that are eaten by the devotees on this occasion. You can also send this page to your near and dear ones so that they can as well get to know about the different fast observed and about the food that are exclusively prepared for this occasion. Janmashtami which marks the birth of Lord Krishna is a Hindu festival that is celebrated all over India with great vigor and zeal. Colorful cultural programs are generally organised to commemorate the occasion. Small children generally dressed as Lord Krishna and Radha stages many epical episodes to entertain the devotees, while few section of the devotees engage themselves in chanting some soulful Bhajans in a form of praises. In addition to these cultural activities, the famous Raslila (dance drama) is also conducted by various communities. The dance drama depicts some of the important phases of Shri Krishna, with special emphasis on the days spent by him in Gokul. These cultural activities are which some religious midnight aartis. Apart from indulging in cultural programs, devotees also make sure they observe Upavasa or fasting so as to please the Lord. The practice of fasting thus might have originated as part of the offering that one could give God for getting a boon fulfilled. So devotees leave no stone unturned to attain the Lord and thus seek his blessings. Here are few ways by which the ardent followers of Krishna celebrate the festival and seek his blessings. Many ardent followers of Lord Krishna make sure that they celebrate the festival of Janmashtami by observing Nirjal fasts, which literally means starvation. By observing Nirjal fast, devotees are not supposed to consume any form of food nor in fact single drop of water. The fast can only be broken at midnight only once when the aarti is performed and prasad are offered to the deity. 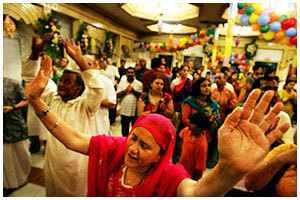 It is thus believed that nirjal fasts would help them get closer to the Almighty. Phalahar fast is another type of fast observed on the occasion of Janmashtami. This kind of fasting is much more of the lenient kind than the nirjal fast for the devotee can consume milk and fruits instead of having nothing. But in this form of fasting one should regrain from having any form cereals and other food stuffs. Same as the nirjal fast, this kind of fast is broken in the midnight, only after Janmashtami Puja. Devotees however make sure apart from fasting, they sing bhajans and chant Krishna’s name so that the Almighty might be pleased and can bless His devotees. Since Lord Krishna was very fond of milk and sweets, thus every devotee without fail, arrange for such sweet dishes so as to please the Lord and in exchange of which seek for His blessings. 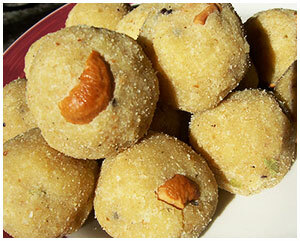 The sweet that are particularly served to the Lord are that of Peda, Shrikhand, Kalakand, Vella Seedai, Neyyappam. Sweet desserts dishes (preferably kheer) are also made at the time of fast. However, they would not consume the sweet dishes or any other food unless and until they have been offered it to Lord Krishna, but once the sweets are being offered to the Lord, they are now ready to be consumed by the devotees as a form of prasad. One more thing the devotees take care of os they do not include salt in their meals during the fast.